It seems that the weather has once again improved enough that people are headed out to the Nürburgring for fun and for testing. This is according to a new compilation video of cars racing around the track from YouTube channel EMS Nordschleife TV. 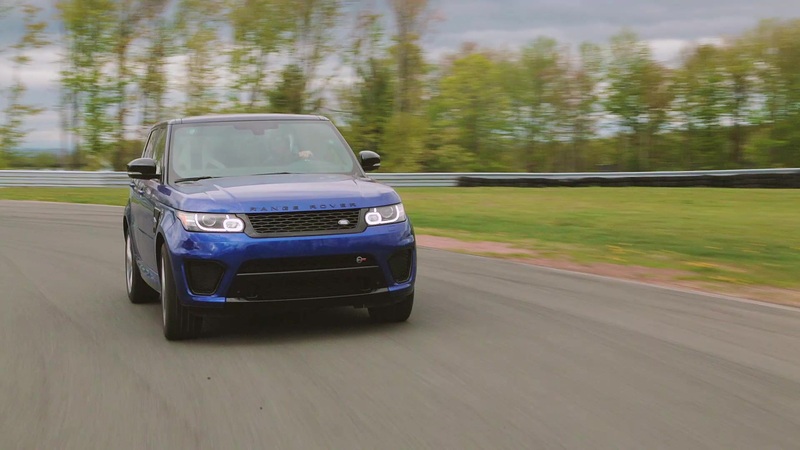 Though most of the cars featured are normal road cars, there are a few prototypes that slip in, including a Land Rover Range Rover Velar that sounds extra beefy. You can see the Land Rover at the following timestamps if you don't want to watch the whole video: 1:43, 2:43, 3:56, 4:42. Though you might want to watch the whole thing, since there are quite a few nice cars on display, including BMWs and Minis testing with facelifts, and the new 8 Series coupe. But back on the Velar, it has just a vinyl wrap, and each time it rounds a corner, you can hear a distinct, smooth rumble that could only come from a V8, indicating this must be a Velar SVR. This confirms what we've heard from spy photographers and rumors about the high-performance version of Land Rover's sleekest SUV. We're a little surprised that it didn't sound louder or have more cracks and bangs from the exhaust, but the rippling tone still sounds good, especially echoing off the metal barriers. As for what we know about the SUV so far, it should have a supercharged 5.0-liter V8 like most other high-performance Jaguar Land Rover products, and it will reportedly make 542 horsepower. This is less than the Range Rover Sport SVR, but the Velar is lighter. The engine will be coupled with suspension and brake upgrades, as well as surprisingly subtle bodywork. We expect the SUV to be revealed sometime this year, especially with how little camouflage is being used.